Wendy Seegmiller never imagined her once-upon-a-time life would come to such an abrupt halt. She never thought the lawyers she counted on would so upend her life. Hers is a twisted saga that spans 10 years, involving nine attorneys, two lawsuits and now an apparent legal agreement to keep it all under wraps. The 40-something Eagle Mountain woman never thought a cheap little Honda vehicle part could have saved her dinner plans, and her future. Instead, she found herself on a long and tragic path to recovery. 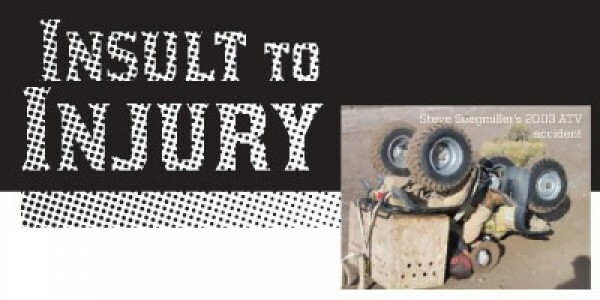 The torturous trail began in 2003, when her husband, Steven, at the age of 36, was paralyzed in an ATV accident and later died. The path brought Wendy to Siegfried & Jensen (S&J), the local law firm that initially sought to recover damages on her family’s behalf. It wound through a lawsuit against the multinational behemoth Honda during which the Seegmillers saw their fortunes evaporate and their family strained. After she settled with Honda for a confidential amount in 2009, Wendy found herself no better off—in fact, she was on the verge of bankruptcy. “I just trusted them,” Wendy says of her reliance on S&J. A friend felt that trust was misplaced and sent her to a new law firm, where attorney Gary Ferguson filed a legal malpractice case on her behalf, alleging that the Seegmillers’ product liability and wrongful-death lawsuits were well beyond the experience and capabilities of S&J. Even the principals of the firm, Ned Siegfried and Mitch Jensen—often portrayed in local ad campaigns as experienced personal-injury attorneys—admitted in depositions that neither had tried such a case as lead counsel before. It’s not customary for lawyers to sue other lawyers for malpractice. “Only between 1 percent and 2.6 percent of lawyers each year face a claim or lawsuit for legal malpractice,” writes Manual R. Ramos of Vanderbilt University about one study by the American Bar Association. There may be more malpractice suits that are never filed, which Ramos calls the profession’s dirty little secret. And now, on the verge of settling her legal malpractice case against S&J, Wendy finds her new lawyers locked in a business dispute over their take of the final settlement. So, what is it about this case that tests the mettle of attorneys who touch it? Larry Setchell, product-liability expert from Seattle who S&J named lead trial counsel in the Honda lawsuit. Was not named in Wendy’s malpractice lawsuit. Steve Seegmiller was a man of many talents. He was a professional golfer, a hunter and a business owner with a complicated if tortured personality. He and Wendy met in their 20s as he was winding down on the pro-golf circuit. A golfer since childhood, Steve made it to the Nike Tour three years running. But he knew that kind of life would make it hard to raise a family. Steve and Wendy both grew up in Provo and knew each other casually in high school. But it wasn’t until 10 years later that they ran into each other again. He told her he’d had a crush on her since high school, asked her out the next day and began an enduring yet challenging partnership. Wendy wasn’t sure he could change course from his years of depression and alcoholism, but when she saw how he got into accounting, she knew it could work between them. Together, they built a multimillion-dollar business, Good Neighbor Roofing & Siding, with 40 employees and a presence in North and South Carolina. People just liked Steve—his charismatic smile, sense of humor and bravado along with his love of adventure. He worked with outfitters to lead hunters into the southern Utah mountains, looking for cougars and lions. He’d had some close calls. Once, when his horse fell through some ice, he worked his feet free of the stirrups and escaped. The horse drowned. But it was a hunt in February 2003 that catapulted the Seegmillers into a legal morass that still threatens to bury the family. Wendy and others recall the accident this way: Steve had found lion tracks in the mountains near Antimony, where he was leading a hunt. He and his group gathered dogs and rode four-wheelers to the sighting, then headed back to camp to get their horses. Seegmiller was in the back, riding slowly because of the dust, when a box on the back of his Honda ATV came untethered. The long fabric straps wound around the rear axle of the ATV, locking up the back and front wheels. Steve was thrown forward, the ATV flipped—landing on top of him—and, because the group had gone ahead, he was trapped under the ATV for the next five hours. No one saw his accident, Wendy says. He listened helplessly to the group’s radio calls, unable to answer. 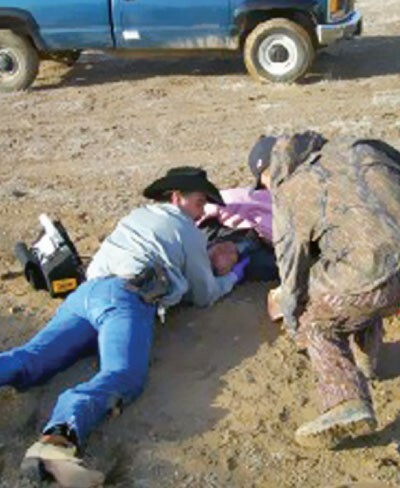 A son of the ranch owner led the hunters back to search for him. When they found him, they thought he was dead. Covered with gasoline that was still draining on him, Steve wasn’t moving. An ambulance was sent to the scene, but Steve needed more than paramedics could provide in such a remote area. A rescue helicopter was called, and the rancher used his GPS to guide it in. At LDS Hospital, Wendy was told that Steve’s spinal cord was mangled and that he had several broken ribs. If he survived, it wouldn’t be easy. “People said, ‘You can do nothing for him, just let him go,’ ” Wendy says. But he was able to tell her he wanted to live. A month into the hospital stay, Wendy recalls, a friend who had been on the trip came by to visit. They talked about the accident. He told Wendy that if Steve had been on a Polaris four-wheeler, he would have been home for dinner, noting that many ATVs are designed so that a locked rear axle will not immediately lock the front axle. “This was the first time we realized something needs to be changed—something so simple, so little,” Wendy says. She would later discover just how small the problem was. A product-liability expert who later became involved in the case said that a $6 part could have prevented the accident. The Seegmillers felt no family should have to go through the pain they were experiencing. Their three girls—then 3, 8 and 10 years old—were watching their father fail daily while their mother struggled to maintain a sense of normalcy. It looked like it was time for an attorney.